Although somewhat ruined by that modern scourge of the railway photographer - palisade fencing, this is a location I had not previously visited. Over the years I have taken numerous pictures from the roadbridge near the site of Shrivenham station, seen in the background here, but had never ventured to this spot. 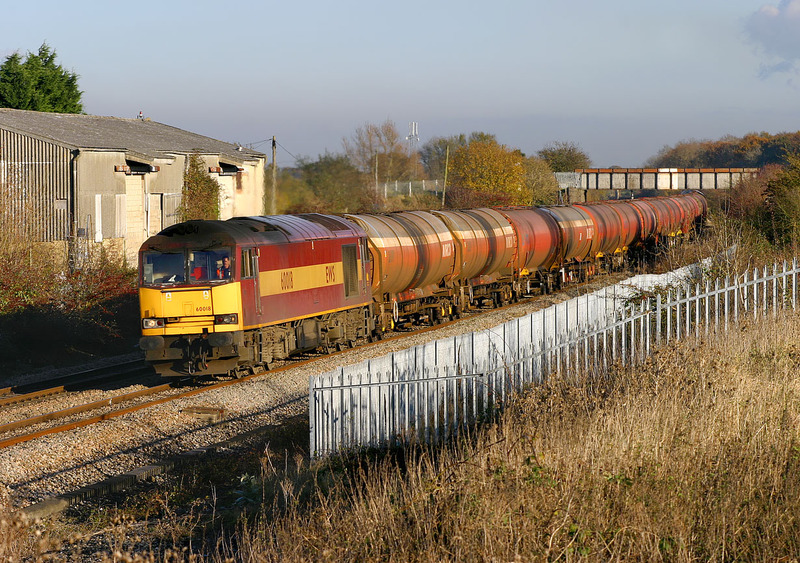 60018 passes the site of the long closed station with the 6B33 13:30 Theale to Robeston Murco oil empties on 15 November 2007.